This page is not updated often!!! Charter Member of Upsilon Chapter of Omega Psi Phi Fraternity Incorporated at Morehouse College. November 11, 1921 marked the birth of the Y-Chapter of Omega Psi Phi Fraternity, Incorporated. The Founding Fathers of the “Soul” were Dr. Benjamin E. Mays (advisor), Dr. Hiram Gibbs, Dr. William Blocker, and Dr. Claude B. Dansby. These men instilled the cardinal principles of Manhood, Scholarship, Perseverance, Uplift into the lives of many Morehouse Men. 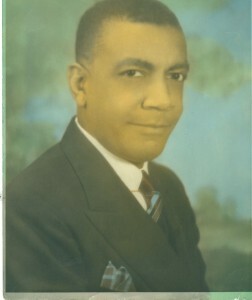 Morehouse Faculty member and teacher of Dr. Martin Luther King Jr.